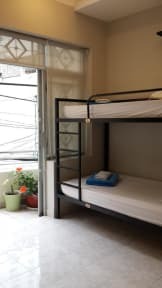 Long Hostel i Ho Chi Minh, Vietnam: Reservér nu! The nice and helpful staff made my stay here! Free breakfast and free beer every night. The common breakfast and free beers make a nice atmosphere. As a solo traveller and my first days of my travels this was really great. I will highly recommend this! Long hostel has by far been the best hostel on our tour around Vietnam! 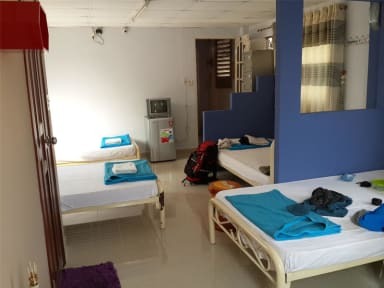 Best location, the most friendly staff, their tour to chi chi tunnels were great and the breakfast and double room were decent. The free beers and the staff created a welcoming atmosphere and people were always around in the common room for at chat. Would definitely stay there again! The front desk is amazing and remembers everybody by name. Great location if you wanna have a good time.